Fueled by long days of landscaping and his homemade (wicked hot) salsa. 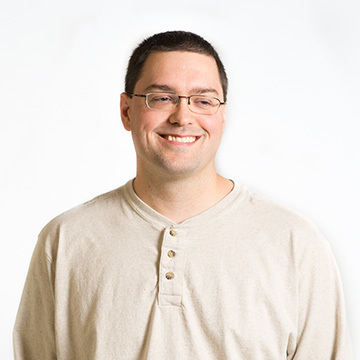 Andy Muth joined KPS3 in 2012, bringing more than 13 years of web development and programming experience to the team. As KPS3’s lead developer, Andy is responsible for building custom applications, as well as website and content management system (CMS) development. Andy’s experience (and, we’re pretty sure, superhuman) programming skills ensure our clients’ digital projects are fully supported and exceed expectations. Andy’s experience includes working as a lead applications programmer at Twelve Horses and a senior developer at One To One Connect. At Twelve Horses, Andy built custom applications and provided technical support for PHP4, PHP5, PERL and PostgreSQL-based applications. Notably, Andy was responsible for building and supporting the ticketing system for the Las Vegas Monorail, which allowed people to purchase tickets online or at self-service kiosks. When One To One acquired Twelve Horses in 2009, Andy was responsible for helping migrate the Twelve Horses messaging platform into One To One Connect’s messaging platform. Andy also integrated the MessageMaker platform into Facebook, Twitter, Bit.ly and LinkedIn. Andy also has experience building custom Facebook applications. Andy is inspired by experimenting with new technologies and seeing the world through his childrens’ new and keen eyes.